The Indonesian transportation sector plays an important role in Indonesia’s economic development. At current prices, it accounted for about 5.4% of Indonesia’s gross domestic product (GDP) in 2017. Despite being the world’s largest archipelago nation, sea transport generates just 5.7% of the transportation sector’s gross value added (GVA) in 2017, versus 45% for road and 30% for air transport. Railway is the least developed subsector with a share of slightly over 1%. The largest economy among the members of the Association of Southeast Asian Nations (ASEAN), Indonesia has poor infrastructure by international standards. The country ranked 52nd out of 138 countries surveyed in the World Economic Forum’s Global Competitiveness Report 2017-2018 in terms of quality of infrastructure, lagging behind Singapore, Malaysia and Thailand. 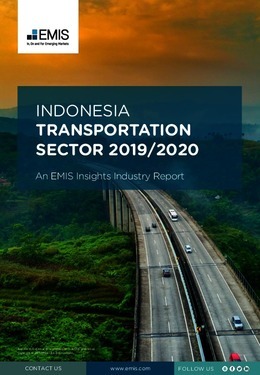 This report provides a complete and detailed analysis of the transportation sector for Indonesia. EMIS Insights presents in-depth business intelligence in a standard format across countries and regions, providing a balanced mix between analysis and data.